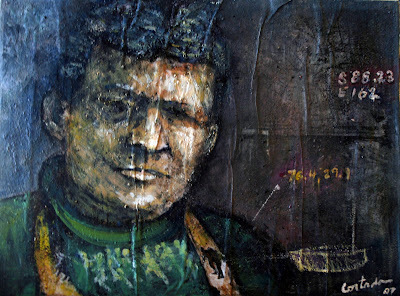 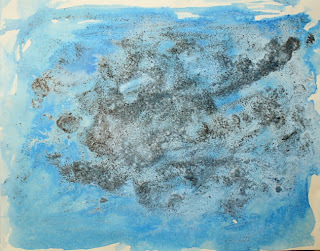 As an awardee of the National Science Foundation Antarctic Artists and Writers Program, Miami artist Xavier Cortada will travel to Antarctica December 28, 2006 - January 12, 2007 to create art to show our interconnectedness to one other and our planet. 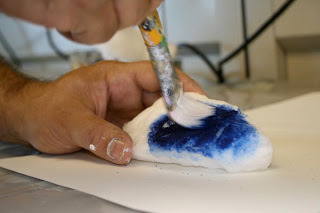 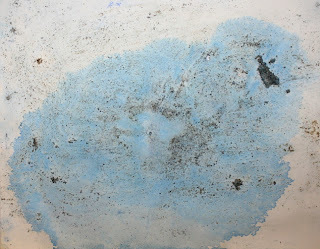 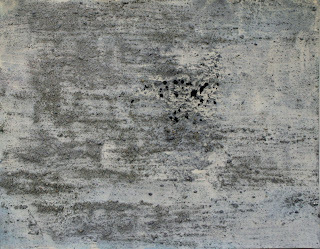 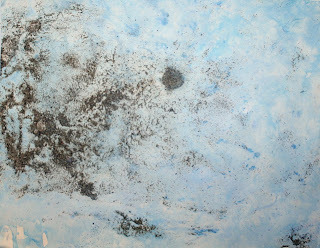 Images of Ice Painting created by Miami artist Xavier Cortada in McMurdo Station, Antarctica using: Antarctic Sea Ice, sediment from the Antarctic Dry Valleys, acrylic paint, and gesso on paper, 12" x 9", 2007. 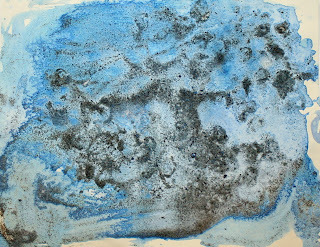 These works on paper were created by Cortada using samples given to him by scientists onsite during his 2006-2007 National Science Foundation Antarctic Artist and Writers fellowship in Antarctica. 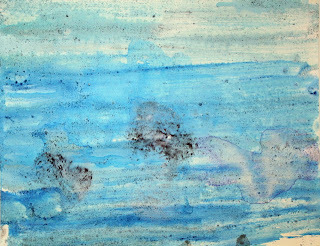 Each piece in the series was titled after randomly selected names of coasts, bays and seas surrounding continent that inspired their creation. 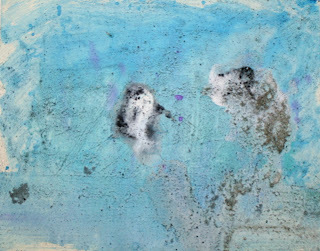 These pieces will be available for purchase at the exhibit opening Saturday, March 10th at the Kunsthaus Contemporary Art Space, Wynwood Art District, 3312 N. Miami Avenue, Miami, FL. 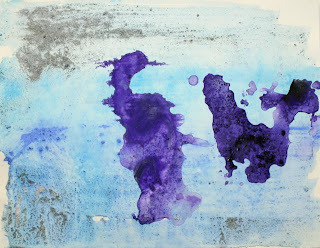 The solo exhibit runs through May 5th. 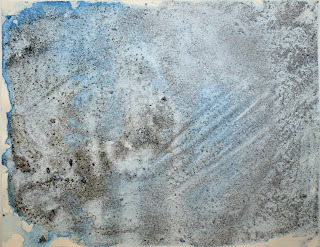 Ice Painting Series: Created using ice from the Western Antarctic Ice Sheet (WAIS), sediment from the Antarctic Dry Valleys, acrylic paint, and gesso on paper, 12" x 9", 2007. 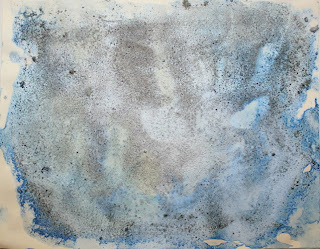 These works on paper were created by Cortada using samples given to him by scientists onsite during his 2006-2007 National Science Foundation Antarctic Artist and Writers fellowship in Antarctica. 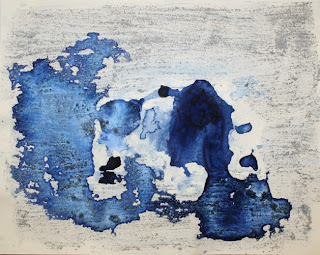 Each piece in the series was titled after randomly selected names of glaciers and mountains on the continent that inspired their creation. 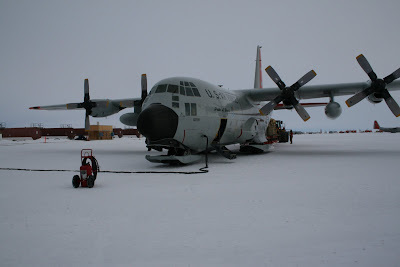 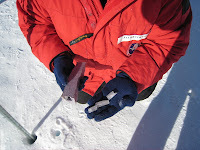 For more information, please visit www.cortada.com/antarctica. 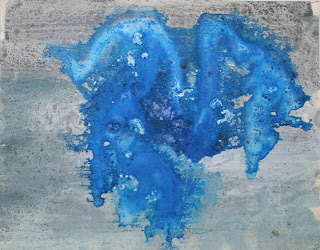 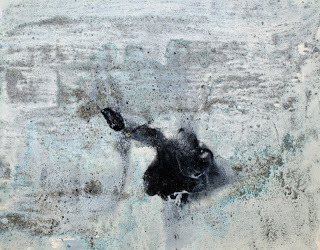 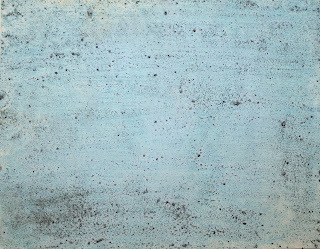 Miami artist Xavier Cortada created ice paintings in McMurdo Station, Antarctica using: Antarctic Sea Ice (ASI) or ice from the Western Antarctic Ice Sheet (WAIS), sediment from the Antarctic Dry Valleys, acrylic paint, and gesso on paper, 12" x 9", 2007. 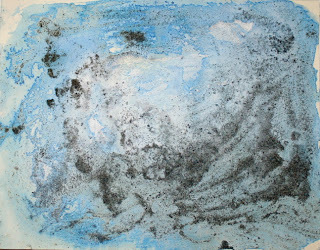 These works on paper were created by Cortada using samples given to him by scientists onsite during his 2006-2007 National Science Foundation Antarctic Artist and Writers fellowship in Antarctica. 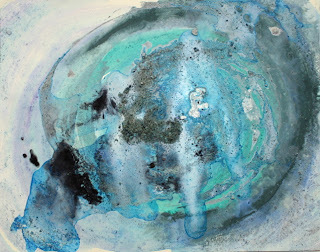 Each piece in the series was titled after randomly selected names of glaciers, mountains, coasts, bays and seas of the continent that inspired their creation. 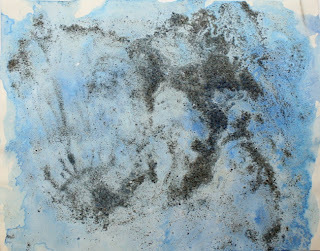 To see ice paintings please see images above. 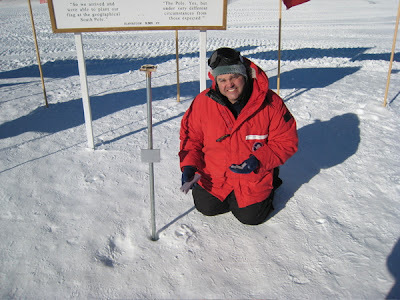 At the location of the Geographic South Pole 2007 marker, I planted a mangrove seedling from Miami's Biscayne Bay, 25°46'N 80°12'W. 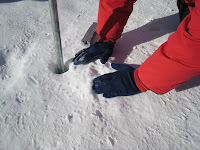 Embedded in the moving glacier, the "seedling" will begin sliding downhill ( 9.9 meters every year) in the direction of the Weddell Sea, 1,400 km away. 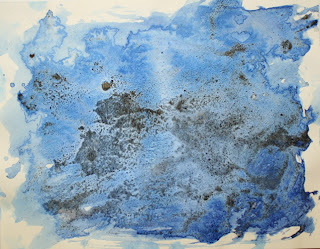 The "seedling" will thus begin its 150,000 year journey towards the seashore, where theoretically it can eventually set its roots. 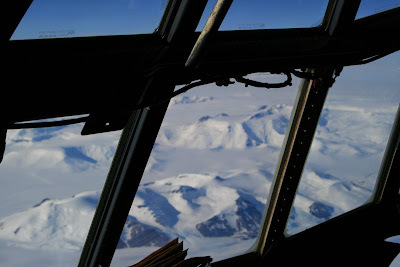 Through this piece, we are challenged to visualize what the world will look like in 152,007 A.D.--when the seedling, riding on the 3 km thick glacial ice sheet that blankets the South Pole, reaches the coast of Antarctica to set its roots. 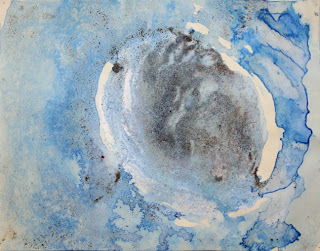 The "150,000-year Journey" project addresses the passage of time, asking us to see time in geologic instead of human time frames. 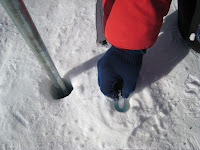 To learn more about the 150,000-year Journey, please visit http://www.cortada.com/antarctica/journey. 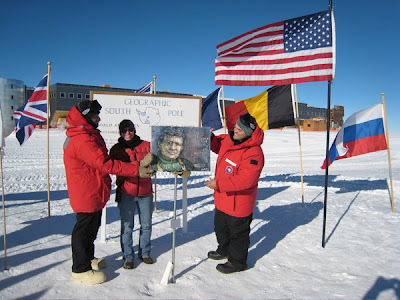 Antarctic Painting: Honoring Sir Ernest Shackleton, by permanently placing the Antarctic explorer's portrait in the South Pole, the place that eluded him in life. 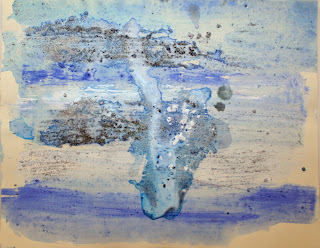 Using acrylic paint diluted with Antarctic sea water, I painted 24 flags with the scientific name of species across Earth whose habitats are being destroyed by man. 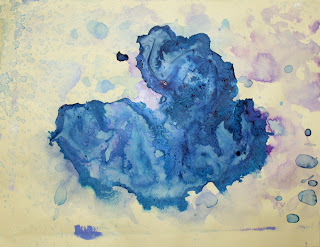 I also painted the habitat's longitude. 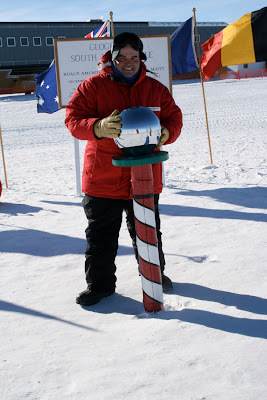 I then placed those flags at their corresponding longitudal line around the South Pole. 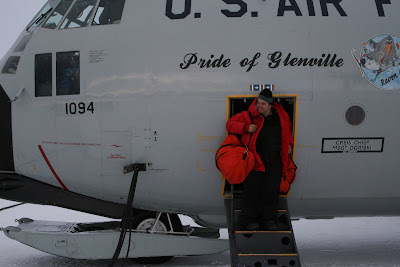 Unless we act to address issues of global climate change and ecosystem destruction, many of these banners will bear the name of extinct species. 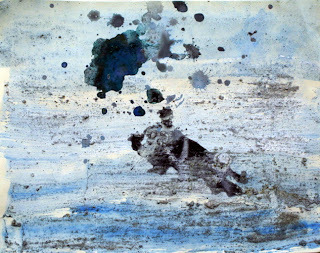 Xavier Cortada, "Shackleton in the South Pole," mixed-media, 24" x 18", 2007. 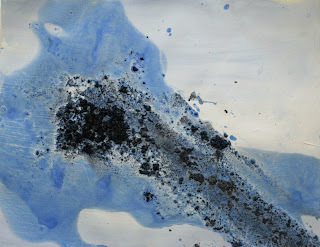 Created in McMurdo Station, Antarctica using canvas, acrylic paint, crushed Mt. 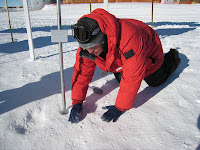 Erebus crystals, soil samples from the Dry Valleys, soil samples from Ross Island, McMurdo Sound seawater, GIS maps of the Antarctic continent, copies of historic photographs and maps of Sir Ernest Shackleton's expeditions. 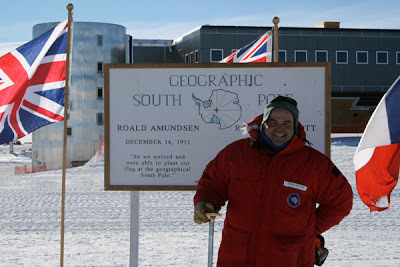 Presented on January 4, 2007 to the Amundsen-Scott South Pole Station for permanent display, conceptually placing the great Antarctic explorer in the place that eluded him in life. 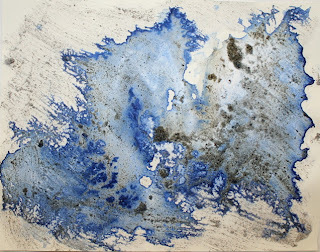 The Miami artist will be creating a series of art projects and installations: Cortada will be planting flags --and a mangrove seedling replica-- on a moving glacier to mark the passage of time; creating a collaborative mural with scientists who work there; painting a portrait of Sir Ernest Shackleton for the South Pole (permanently placing the famed explorer in a place that eluded him in life); placing flags with images of endangered animals from across the globe around the South Pole. 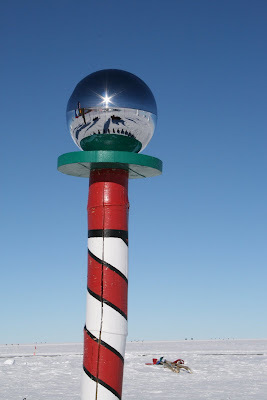 Cortada will also be creating installations on the South Pole expressing the voices and thoughts on environmental concerns from people living in the world above.